Allied Command Transformation’s mission is to contribute to preserving the peace, security and territorial integrity of Alliance member states by leading the warfare development of military structures, forces, capabilities and doctrines. The mission must enable NATO to meet its level of ambition and core missions. 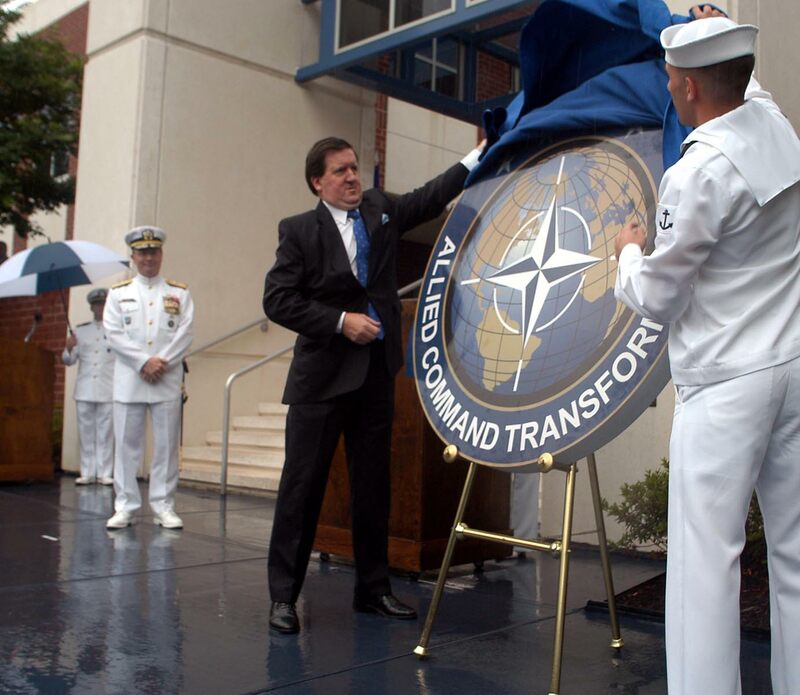 From its inception in 2003, Allied Command Transformation demonstrated the importance placed by NATO Nations on the roles of transformation and development as continuous and essential drivers for change – drivers of change that will ensure the relevance of the Alliance in a rapidly evolving and complex global security environment. These functions are reflected in the composition of Allied Command Transformation which has its Headquarters in Norfolk, Virginia and three subordinate entities in Norway (Joint Warfare Centre), in Poland (Joint Force Training Centre) and in Portugal (Joint Analysis & Lessons Learned Centre). Allied Command Transformation also includes a representative at NATO Headquarters in Brussels and at the Pentagon outside Washington, DC, an Allied Command Transformation Staff Element who sits alongside Allied Command Operations Headquarters, Supreme Headquarters Allied Powers Europe and a Military Partnership Directorate shared with the other NATO Strategic Command: Allied Command Operations. NATO’s other education and training facilities and nationally-run entities (which are not part of the NATO Command Structure) also co-ordinate with Allied Command Transformation. These entities include the NATO Defense College in Italy, the NATO School in Germany and the NATO Maritime Interdiction Operational Training Centre in Greece, as well as the nationally-run Centres of Excellence. Other NATO Agencies also interact regularly with Allied Command Transformation on matters of common concern. Before 2002, NATO’s two Supreme Commands were known as Allied Command Europe, established in 1951, and Allied Command Atlantic created a year later, in 1952. Both of these Commands were streamlined at the end of the Cold War reducing the NATO Command Structure from 78 headquarters to 20 headquarters. In 2002, a decision was made to reorganise the NATO Command Structure and make it leaner and more efficient. Additionally, Alliance thinking fundamentally shifted: The NATO Command Structure was to be based on functionality rather than geography. The former Allied Command Europe became Allied Command Operations, responsible for all current Alliance operations, including maritime operations. The former Allied Command Atlantic became Allied Command Transformation, responsible for future operations. Allied Command Transformation was commissioned on June 19th, 2003. The NATO Command Structure was reviewed most recently in June 2011, as part of a wider process of reform and modernization, not only to optimize the structure but to include new tasks. The two Strategic Commands were maintained, as well as the Alliance’s level of ambition, which is the ability for the Alliance to manage two major joint operations and six small joint operations. Following the 2011 review, Allied Command Transformation developed stronger links with NATO Centres of Excellence and the NATO Force Structure. Headquarters Supreme Allied Commander Transformation is organized into five directorates reporting to the Chief of Staff. The directorates are Capability Development, Strategic Plans & Policy, Resources & Management, Joint Force Development and the Bi-Strategic Command Military Partnerships Directorate. There are more than one thousand military and civilian personnel working at Allied Command Transformation from Allied and Partner nations. 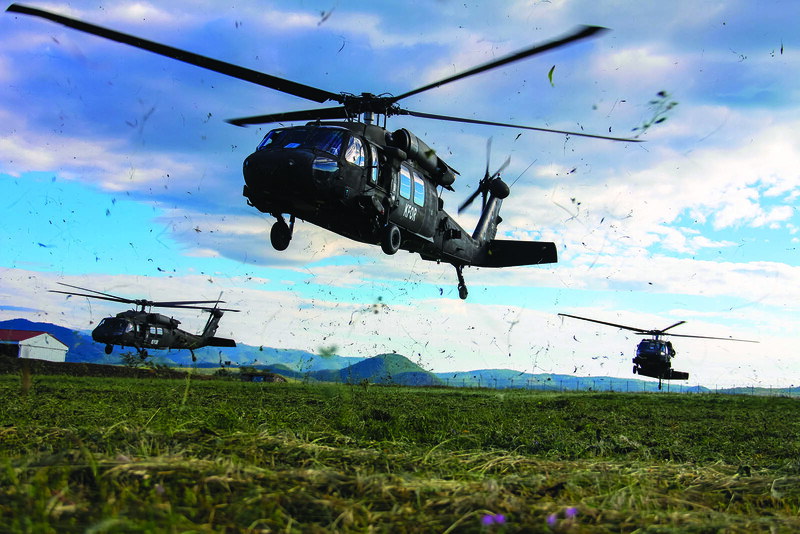 The Command Group shapes the trajectory of Allied Command Transformation. The Command Group includes Supreme Allied Commander Transformation, the Deputy Supreme Allied Commander Transformation, the Chief of Staff, the Political Advisor and the Command Senior Enlisted Leader and their offices. These offices are composed of military leaders, subject matter experts, assistants and advisors. The Commander and Deputy Commander of Allied Command Transformation are directly supported in their duties by a joint office. Under the supervision of the Executive Assistant to Supreme Allied Commander Transformation, the joint office is comprised of both the Commander’s and Deputy Commander’s Executive Assistants, Military Assistants, Personal Assistants, Aides de camp, security officers and protocol officers. The joint office also consists of the Commander’s Action Group, a selection of special assistants, and of speech writers and scientific and communication advisors. Its mission is to prepare Supreme Allied Commander Transformation’s and Deputy Supreme Allied Commander Transformation’s engagements and disseminate decisions and guidance to the command. The Chief of Staff, and his office tasks, stewards and coordinates the work of the Headquarters and subordinate centres. Reporting to the Chief of Staff are branches that include the legal advisor, financial advisor, communications advisor and the gender advisor. 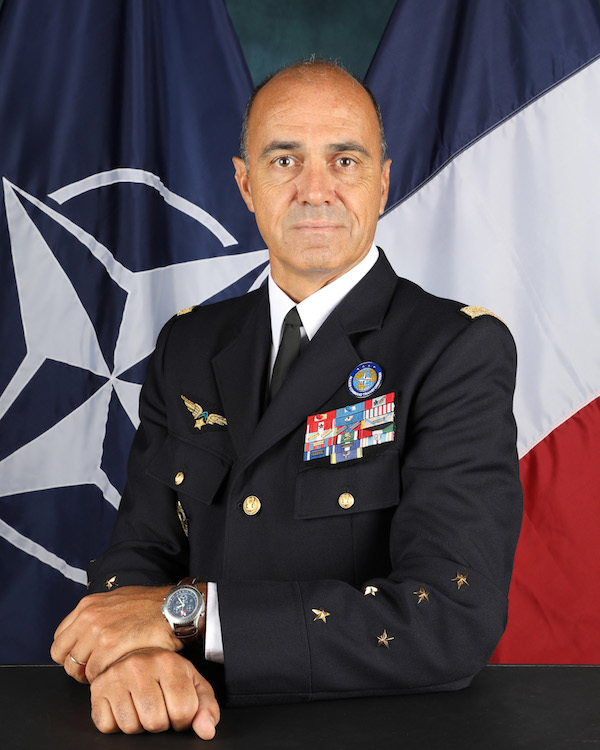 The Political Advisor and the Deputy Political Advisors are drawn from the diplomatic services of NATO member states.They support and shape the initiatives of the Supreme Allied Commander for Transformation. They render advice on political, economic and various non-military matters and support Command initiatives with member and partner nations of the Alliance, international organizations and non-governmental entities. The Command Senior Enlisted Leader’s primary focus is on NATO’s military human capital strategies, individual education and training, partnerships and building capabilities in order to improve military effectiveness and advancing Alliance and Partner interoperability.The Command Senior Enlisted Leader provides additional oversight, on behalf of the Command Group, on the efficiency and effectiveness of Allied Command Transformation’s mission, vision, goals, objectives and focus areas. The Capability Development directorate is the largest directorate at Allied Command Transformation and encompasses a wide range of warfare development functions. The directorate facilitates all aspects of developing new capabilities for the Alliance. Capability Development begins by understanding the trends in the security environment. Once these trends are understood, the directorate identifies the requirements necessary to meet the Alliance’s level of ambition. The directorate develops requirements through the production phase and into implementation, testing, and delivery of a given capability. This process focuses on NATO’s unique Command Structure capabilities. The Capability Development directorate is a major contributor to the NATO Defence Planning Process, the primary means for identifying NATO’s minimum capabilities requirements, the apportionment of those minimum capabilities and assessing the progress of nations. For NATO’s unique capabilities, the directorate works to improve interoperability, command and control, deployment and sustainment capabilities. In order to accomplish the varied array of tasks associated with developing cutting edge Alliance capabilities, the Capability Development directorate collaborates with industry and the science and technology community to infuse innovative ideas and transformative principles into the developmental process. Additionally, the directorate has established a transformation network which provides a hub within NATO and between member nations to promote continuous innovation of Alliance forces, structures and processes. The Capability Development directorate is comprised of three divisions: Command and Control, Deployability and Sustainability; Capability Engineering and Innovation; and, Defence Planning. Command and Control, Deployability and Sustainability is the largest division within the Capability Development directorate and covers diverse responsibilities. The division has an emphasis on NATO’s unique Command and Control applications and facilitates more cost effective capabilities for the NATO Command Structure. Furthermore, the division integrates Joint intelligence, surveillance and reconnaissance to deliver strategic awareness which is enabled by joint targeting, policy updates and the fusion of intelligence gathering. Developing new capabilities such as a space policy and the framework for space support of NATO operations is a key task for this division. In 2017, Supreme Allied Commander Transformation created the interim cyber branch after the declaration by NATO of cyber as a domain and the approval of the Roadmap to Implement Cyberspace as a Domain of Operations. 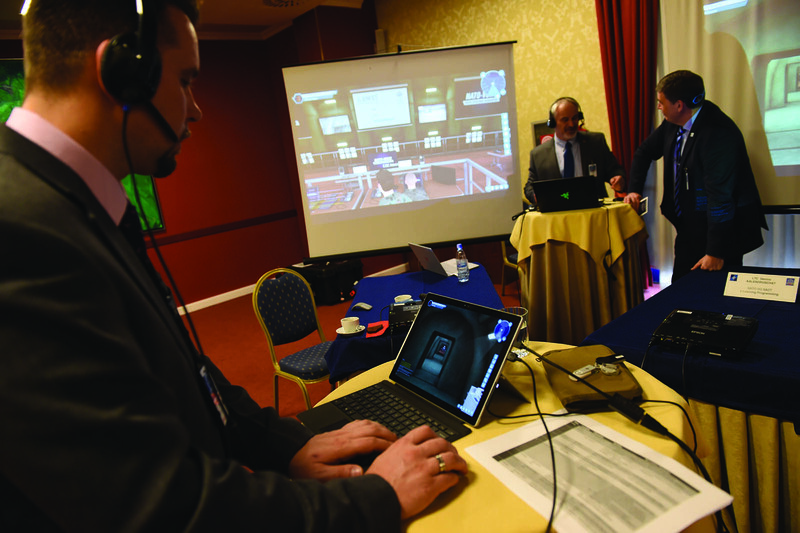 Cyber personnel have led the preparation of NATO cyber exercises and the federation of cyber operations themed NATO Industry Forum workshops. Additionally, this division aligns cryptographic transformation activities and grows next generation Alliance-level crypto warfare capabilities. To deliver interoperability this division is responsible for the development and institution of the Federated Mission Networking approach which establishes standards by which Allied Nations communicate.This foundation provides the backbone for ongoing work to establish NATO requirements for Ballistic Missile Defence. 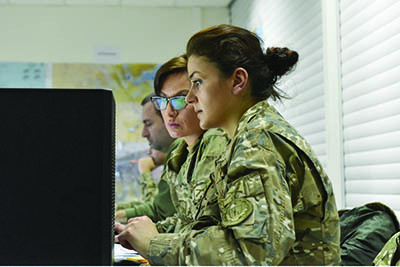 The division is instrumental in the development of Command, Control and Consultation capabilities and previous established the enterprise-wide standard for developing services that are interoperable across the Alliance and within NATO networks. This work has standardised the approach within NATO and nations’ information technology services and support. 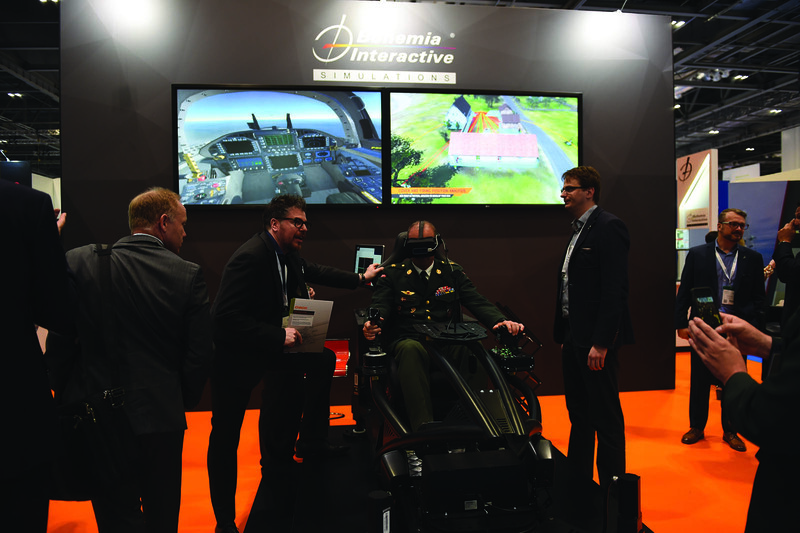 Capability Engineering and Innovation leads Allied Command Transformation’s integration of industry, concept development, experimentation, modelling and simulation and leverages Alliance exercises to transform NATO’s capabilities. This work includes studies on the protection of civilians, joint military operations in urban environments, stability policing and deterrence of non-state actors. To accomplish this, the staff organizes NATO Industry Forum workshops, where NATO and Industry join together to understand each other’s needs, as part of the NATO Industry Engagement Plan. Innovation efforts, both internal to Allied Command Transformation and external with science and technology organisations like the Centre for Maritime Research and Experimentation and the Defence Investment Division of the International Staff, are critical to maintaining the Alliance’s edge. 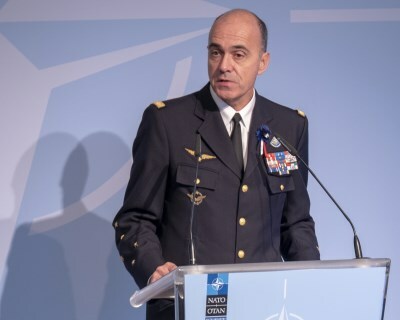 Additionally, the Chiefs of Transformation Conference gathers all NATO and partner Chiefs of Transformation to collaborate on key issues to ensure interoperability and coherence in development. Finally, the accession process of new NATO member nations is operated by this division. Defence Planning is focused on deliverables related to the NATO Defence Planning Process and the synchronization of multinational solutions. The division drives development through participation in the Capability Development Executive Board chaired by the Deputy Secretary General. The Joint Airpower Strategy and Anti-Access/Area Denial simulation studies are examples of projects which this division conducts to improve the capability development delivery process and understanding required to inform the NATO Defence Planning Process. The division is modernising the defence planning process through the creation of the Defence Planning Management System. The key tasks are the development of the minimum capability requirements needed to meet NATO’s level of ambition and drafting the capabilities targets for NATO nations. The division is involved in developing inputs to the Military Committee in order to inform NATO political guidance and works with international organizations and NATO Headquarters on tracking progress with multinational solutions. 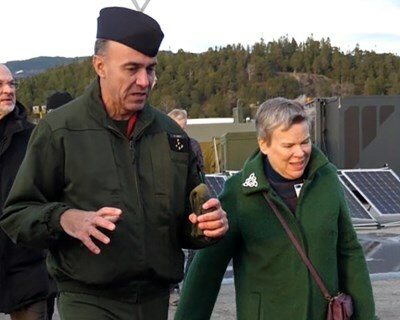 Defence Planning coordinates NATO-wide efforts to develop Air, Sea and Land facilities and stockpiles in support of Supreme Allied Commander Europe. The Strategic Plans and Policy directorate supports Allied Command Transformation in formalising military advice to shape future military strategy, political guidance, and other policy documents in support of NATO’s strategic objectives. The directorate is responsible for drafting the Strategic Foresight Analysis and the Framework for Future Alliance Operations, as well as, other military concepts that shape future strategies, political guidance, our relations with partner nations and other international organizations – including the NATO Defence Planning Process. All of this work supports NATO preparation for future challenges and threats and seizes emerging opportunities to help shape the future. Rewriting policy documents, work in Resilience, Partnerships and Academic Outreach steward many of the activities of this directorate. Resilience is a society’s ability to resist and recover easily and quickly from shocks, combining civilian, economic, commercial and military factors. It is an essential basis for credible deterrence and defence – reinforced by the commitment made at the Warsaw Summit. Each NATO member country must be resilient in order to withstand shocks like natural disasters, failure of critical infrastructure and military attacks. In sum, resilience is the combination of civil preparedness and military capacity. When Allies are well prepared, they are less likely to be attacked, making NATO as a whole stronger. 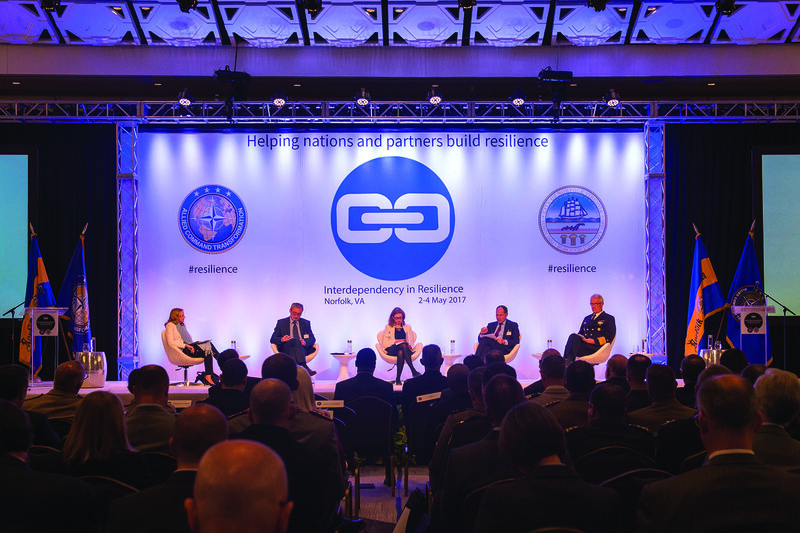 In partnership with the City of Norfolk, a member of the 100 Resilient Cities network, Allied Command Transformation organised a flagship conference examining ‘Interdependency in Resilience’ to help nations deliver on their Summit commitment. Held in May 2017, the event was supported by leaders from 34 NATO and European Union Nations and over 30 private sector partners, in all some 230 stakeholders. 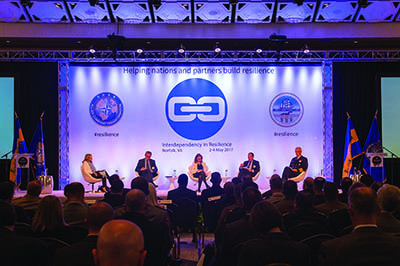 The conference was output-focused ‘by design’ and acted as a catalyst to help widen the aperture on building resilience while improving understanding and visibility of what resilience means across the civil, private and military sectors and developing actionable proposals to improve mutual collaboration. 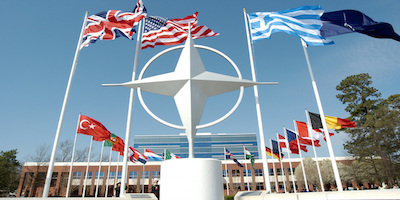 Integral to NATO’s efforts to both deter and defend and project stability is the need for the Alliance to actively engage with partner nations and a broad range of non-NATO actors including Government Organisations, International Organizations and Non-Governmental Organizations, think tanks, academia as well as the private sector. From a military perspective, this cooperation can enhance strategic awareness, improve partner nation defence and security capabilities and deter or contain potential threats. Furthermore, Allied Command Transformation supports Allied Command Operations in the ongoing effort to deliver across the full range of agreed partnership activities; contributing to NATO-led missions, operations and other tasks. The Strategic Plans and Policy directorate acts as Supreme Allied Commander Transformation’s lead for strategic partnership within the command, coordinating with training and exercises and capability development activities. Innovate: In order for Allied Command Transformation to remain at the forefront of Warfare Development, it needs to maintain strong links with academia’s most resourceful and imaginative thinkers to persistently innovate. Influence: The team’s ability to disseminate Allied Command Transformation’s products to academic audiences is linked to the command’s ability to inform public debate on defence and security. Research: By proposing, financing and supporting a specific research project, Allied Command Transformation helps identify the main academic areas of importance, and garners leverage in defining the framework of the research. Integrate: Cooperative approaches with external entities improve quality and coherence. Connect: Connections between academics and governments are not a rare feature – the two are contiguous. Academics can act as a bridgehead promoting ideas and coordinating activities between civil-military organizations and government. 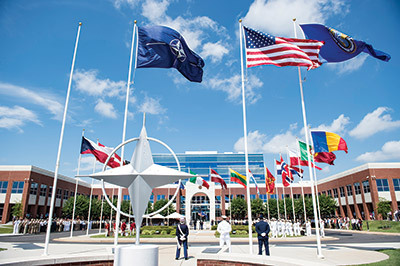 Much of Allied Command Transformation’s outreach informs the drafting of foresight analysis, strategy and policy advice as well as connecting NATO to European and North American security experts. Academic Outreach supports the Command’s desire for diversity in strategic thinking and problem solving. In order to meet the demands of a transformational organization, the Resources and Management directorate is structured to support Allied Command Transformation, including; Human Resource Management, Protocol, Strategy Management, NATO Security Investment as well as Base Support and Allied Command Transformation Office of Security. The Office of the Financial Controller, Budget and Finance sit outside of Resources and Management but the integration of the complete resource portfolio is effectively collaborated through strong lines of communication and processes. The Human Resources Management Branch plans and coordinates the development of over a thousand staff comprised of both military and civilian members as well as the provision of administrative support to their family dependants. Allied Command Transformation’s ability to continue its mission, while optimizing civilian and military personnel, is a testament to the ability of Human Resource Management to provide direct support to the nations while monitoring the placement and positioning of very talented individuals. The Protocol Branch manages all Protocol functions for Supreme Allied Commander Transformation. Managing Protocol for a Political-Military Organization like NATO, with 29 member nations and various military service cultures, is a mammoth undertaking with no room for mistakes and the Branch is extremely suited to managing this task. 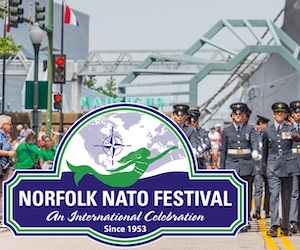 The Branch supports NATO Strategic Communications and has a vital role in the strategic engagement plan, community outreach and Supreme Allied Commander Transformation’s and Deputy Supreme Allied Commander Transformation’s long term planning. Protocol also supports the planning, preparation and execution for Distinguished Visitor Days or special visitor days for the North Atlantic Council during Exercises. One of the recent accomplishments was to launch a “how to” Protocol guide with examples of how ceremonies and events may be executed. This guide is used as a reference for Protocol Officers in the European Union, USA and Africa. Protocol also spearheaded a project to establish a NATO Protocol Course at the NATO School in Oberammergau, which creates a platform for the various NATO bodies to engage on standardization of NATO Protocol practices and establish a strong protocol network. Allied Command Transformation’s protocol team has planned, executed and overseen over 1,400 visits ranging from Heads of State, Secretaries of State, Ministers and politicians, the North Atlantic Council, Chiefs of Defence and defence and community leaders who play a vital role in supporting NATO in North America. The Branch has also planned, executed and overseen approximately 400 conferences, seminars, ceremonies and other special events. The Strategy Management Branch is the steward and organisational conscience of Allied Command Transformation ensuring that Supreme Allied Commander Transformation’s vision, goals and strategic objectives are refined and achieved. As such, this branch is in the vanguard of developing innovative policies, procedures and tools to support all layers of management and governance. This includes planning, monitoring and measuring the performance of the Command. The Branch has also been instrumental within the wider NATO resource community proposing and modernizing the way the NATO Military Authorities and the NATO Command Structure integrate capability and resource planning in a fiscally constrained environment. Looking forward, the Strategy Management Branch will continue to play an important role to ensure that Allied Command Transformation manages risks coherently and continues to deliver quality products to our customers and stakeholders. The NATO Security Investment Branch manages the programme of capital investments in military capabilities that provides funds for the development of facilities, systems and equipment required by Strategic Commanders to complete their missions. The implementation of the NATO Security Investment Programme starts with the development of capability packages, which effectively link resource planning to operational needs. Between 2005 and 2016, the Branch helped NATO develop and invest almost 10 billion Euros in defending the Alliance. Today, the Branch manages a portfolio of 161 capability packages and 2700 associated projects at various stages of development, approval and implementation, which amounts to around 600 – 700 million Euros. Notable outcomes of these investments are Ballistic Missile Defence, NATO Deployable Assets, Alliance Ground Surveillance, Reassurance Measures, NATO Command Facilities, Communication Systems, Air Basing and Bulk Fuel. The Branch is currently focused on the maritime domain, Communications and Information Systems security and Cyber Defence. 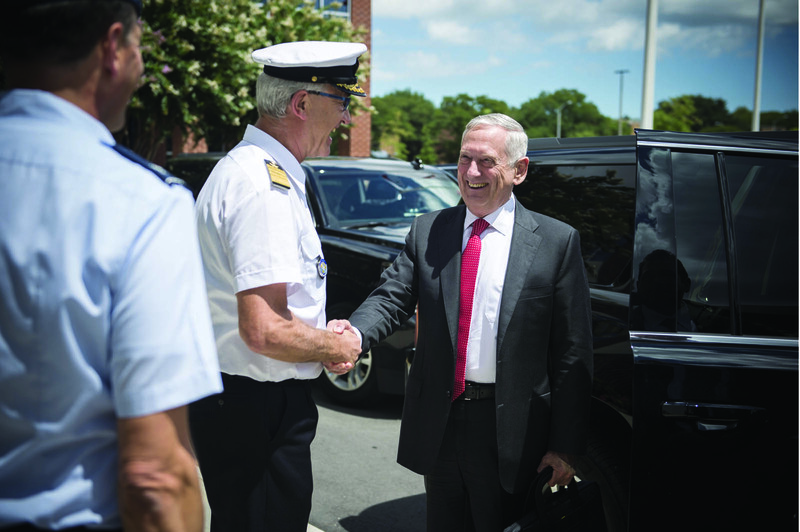 The development of capability packages, capital infrastructure investments, and ultimately the implementation of the projects contained within them, is a fundamental component of NATO Capability Development and the NATO Security Investment Programme Branch. A number of means are necessary to achieve a uni ed effort as envisioned in NATO’s founding Treaty. One of the primary means to achieve a uni ed team is through Education, Training, Exercises and Evaluation. The Education, Training, Exercises and Evaluation Programme assures that NATO maintains a high state of readiness, is interoperable, and is capable across the current and emerging full mission spectrum. It serves as the cornerstone of the Alliance’s credible defence, deterrence, and assurance efforts. 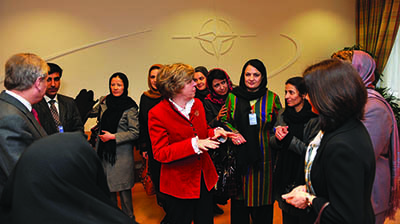 Concurrently, Education, Training, Exercises and Evaluation serves as a means to enhance and enable NATO interaction with a wide range of partners, serves as a vehicle to validate proposed transformational activities, enabling the Alliance to maintain the requisite capabilities now and into the future, and functions as a mechanism for strategic communication at the political, strategic, and operational levels. 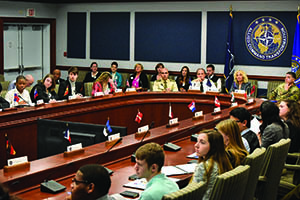 NATO’s Education, Training, Exercises and Evaluation Programme has adapted to meet the demands of the strategic landscape over its many years, emphasizing collective defence during the Cold War, shifting to counter-terror and expeditionary operations in the years after the 9/11 attacks in the United States and other attacks in locations throughout Europe, and then beginning a transition back to confront the realities of a resurgent near peer competitor to the Alliance’s immediate east. While both Strategic Commands are integral to NATO’s Education, Training, Exercises and Evaluation process in varying capacities, since its inception in 2003, Allied Command Transformation and its subordinate training commands, the Joint Warfare Centre and the Joint Force Training Centre, have been instrumental in designing, managing, and executing Education, Training, Exercises and Evaluation to ensure NATO was interoperable, planned for future capability development, and maintained ‘tip of the spear’ readiness. As NATO’s requirements have evolved, Allied Command Transformation has exercised innovative and adaptive approaches to Education, Training, Exercises and Evaluation and has directly supported forces to ensure their ultimate success on the battlefields of today and tomorrow. These approaches have spanned management solutions via the Global Programming Approach; innovation in Education and Individual Training; and the application and conduct of Collective Training and Exercises. Offered below is a synopsis of Allied Command Transformation’s efforts to evolve NATO’s Education, Training, Exercises and Evaluation programme to support the warfighter and NATO’s broader requirements. The concept of Global Programming was established as the Allied Command Transformation’s holistic response to achieve a collaborative, uni ed NATO effort for developing effective, efficient, and affordable Education & Training solutions based strictly upon NATO specific requirements. In its simplest form, Global Programming is NATO’s method of matching defined Education, Training, Exercises and Evaluation requirements to solutions. Global Programming consists of three parts: a developmental methodology that uses a System Approach to Training similar to that used by many militaries; a production planning process that determines and manages quantitative aspects of training; and a governance structure that delineates responsibilities between those who determine the requirement and those who match and develop training opportunities. This approach relies on a federated system of training delivery that uses a combination of NATO Education and Training Facilities, Partner Training and Education Centres, and a variety of additional Centres of Excellence and other deliverers. Requirements and solutions are both individual and collective as the individual’s preparation leads directly to collective effectiveness. Global Programming demands the use of a development methodology that ensures common standardized processes and enables a perennial quality management system for all stakeholders leading to cohesive training solutions for the warfighting community. Since NATO does not have direct military forces, it relies on the 29 Nations to exercise and meet operational commitments. Individuals that Nations send to NATO are prepared via national programmes, each of which have their own standards and processes. While many of these national Education and Training programmes are consistent with NATO’s approaches, the subtleties that arise from cultural and service history are valid considerations when manning NATO Headquarters or blending units to provide a NATO operational capability. To contend with this, while NATO does not provide ‘core professional training’ within any specific discipline, Allied Command Transformation institutes Education and Individual Training programmes that ensure uniform understanding of specific NATO equipment, procedures, and doctrine to personnel, either working within the NATO organization or acting as the national interface to NATO. This ‘multinational interoperability’ is an essential individual Education and Training requirement that compliments the Collective Training and Exercises activity that provides the operational commander with suitable capabilities. 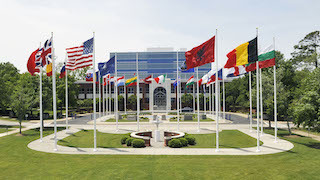 For more than 60 years, NATO has used a number of NATO and national Education and Training Facilities, to deliver the required Education and Individual Training. From a core group of NATO Education and Training Facilities that cover a broad range of disciplines, Allied Command Transformation has expanded the programme to include 25 Centres of Excellence and 31 Partner Training and Education Centres from varied NATO and Partner nations. 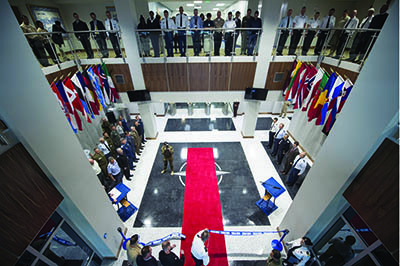 These facilities have evolved to facilitate Education and Individual Training at both the NATO and national level. Allied Commander Transformation has implemented the Individual Training & Education Programme to manage the “supply and demand” process. The objective is a fully synchronized programme of courses that satisfy the customers’ needs. Nations and organisations can navigate the system to identify if there is an existing training opportunity in any particular discipline within the structure. Currently, there are over 750 different courses being advertised by over 80 different training providers that provide a robust NATO Education and Individual Training solution. Nations are encouraged to share their courses, and if they meet the NATO standard, they are then certified. Another important aspect of the Education and Individual Training mandate is to ensure Education and Training opportunities are developed following the best practices for adult learning and using (where appropriate) the latest technology and innovation, including blended courses, some online and some residential, simulation and mobile delivery. NATO’s e-Learning Programme now supports over 30,000 students per year, as well as research and development of new immersive and interactive courses. NATO must continue to ensure our Education and Individual Training prepares members, whether posted to NATO or supporting an exercise or operation, for service in a complex multinational environment that spans the spectrum of conflict. This necessitates expanded Education and Individual Training opportunities, coordinated and seamless national and NATO training solutions, and assured access to NATO and national training solutions for Alliance members and Partners. Allied Command Transformation will continue to seek solutions that develop and prepare NATO’s best resource, its people. Allied Command Transformation’s support to NATO’s warfighting organisations has been instrumental to the Alliance’s success as the strategic landscape has evolved. The support provided by Allied Command Transformation has ensured NATO’s exercise programme has been relevant, reliable, complete, flexible, and sustainable. It has supported NATO’s Level of Ambition, meeting the demands of current forces, while concurrently enabling the validation of future capabilities and strengthening deterrence and defence in a rapidly evolving and uncertain security environment. Following the Chicago Summit in 2012, NATO saw the need for a more deliberate training and exercise programme that would support NATO Response Force requirements, expeditionary operations in support of a joint Headquarters, but also training on a limited scale for collective defence. Allied Command Transformation led the detailed study of NATO’s exercise programme, redesigning the programme to contend with the need to rapidly deploy a spearhead force to address threats from around the globe. From this study, the TRIDENT series of exercises were developed to train the NATO Response Force Headquarters, the supporting elements from the Single Service Components, and the expeditionary Joint Headquarters, to conduct a high visibility exercise that would significantly contribute to NATO’s interoperability of forces and serve as a strategic deterrent, and to reinstitute operating in a contested environment. The first major high visibility exercise, TRIDENT JUNCTURE 2015, was conducted in 2015 to train the NATO Response Force via a large scale live exercise conducted with over 36,000 forces conducting actions in Italy, Portugal, and Spain, and a concurrent Command Post Exercise. In 2012, Allied Command Transformation assumed most of the responsibilities from Allied Command Operations to manage NATO’s broader exercise portfolio and to operate NATO’s Major Joint Exercise Programme. As part of this transition, the NATO Military Training and Exercise Programme was significantly expanded. The Military Training and Exercise Programme is an exercise catalogue that has provided visibility of all NATO and offered National exercise activities over a rolling five-year horizon. The intent is to capitalize on published exercises to increase Alliance and national training opportunities, to ensure synchronisation and deconfliction of these activities over time, and to solicit political-military approval for the participation of partners in exercises. In recent years, visibility of NATO and offered national exercise activities has dramatically improved, growing from roughly 100 exercises in 2012 to an average of 250 exercises per year, as part of the NATO exercise portfolio. Allied Command Transformation is also moving to develop a common exercise picture that will support political and military decision-making, and to employ an ‘Active Programming’ concept, whereby NATO and national requirements are managed to improve NATO and national training opportunities. Following Russia’s illegal annexation of Ukraine’s sovereign territory in 2014, NATO’s focus began to shift, with political guidance from the 2016 Warsaw Summit suggesting that measures to ensure Collective Defence were a prime consideration, in addition to the needs of projecting stability and countering terrorism. After more than a decade of primary focus on expeditionary operations, the NATO Exercise Programme Review completely redesigned NATO’s broader exercise programme, concentrating the Programme from 2019 onwards on Major Joint Operations-plus operations, while retaining a limited emphasis on training expeditionary capability for the Alliance. The revised Programme will ensure that the Alliance is prepared to fight at scale against a realistic peer competitor across all domains, and in contested environments. Concurrently, Allied Command Transformation’s support to operations continues, with the Joint Force Training Centre assuming responsibility for a large portion of required pre-deployment training, in support of forces deploying into Afghanistan. 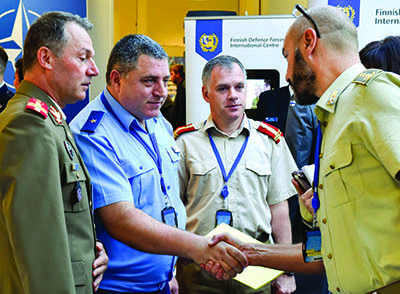 In addition, in 2016, Allied Command Transformation and Joint Force Training Centre planned and executed the first Partner exercise with Georgia, conducting a computer assisted Command Post Exercise to assist the Georgian Armed Forces in developing the necessary organic capacity to manage multinational Brigade-level operations. These efforts were followed in early 2017 by Joint Force Training Centre’s provision of training in support of Kosovo Security Forces, augmenting the NATO Advisory Liaison Team with a training package that continues to see the Kosovo Security Forces develop. 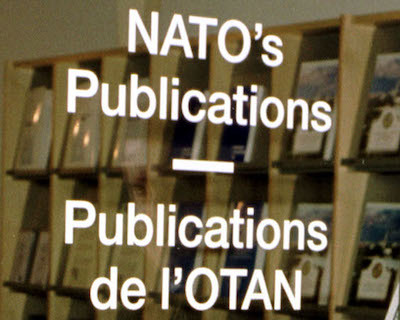 At the end of the Cold War, NATO opened its door to a multitude of partnership frameworks and initiatives. Following the Brussels Summit of 1994, the Partnership for Peace initiative was created to increase post- Cold War stability and to build security relationships between Euro-Atlantic Partners and NATO. The Mediterranean Dialogue was also created and reflected the important role of the Mediterranean in European security. Today, NATO has 41 partner nations. The Development and Implementation Division provides policy and expertise for the practical implementation of partnership plans. Country officers translate the direction and guidance for each country into tangible events. A policy section within the Division seeks to improve the overall policies and procedures in order to support NATO’s transformation. The innovative Individual Tailored Roadmap initiative is the current flagship effort to keep NATO’s partnership relevant for future security initiatives. 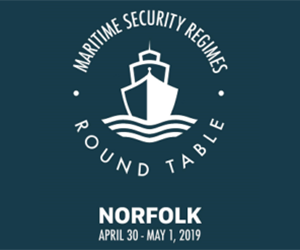 The Military Partnerships Directorate Staff Element Norfolk is responsible for the development of Bi-Strategic Command Military Partnerships policy, direction, guidance and advice. 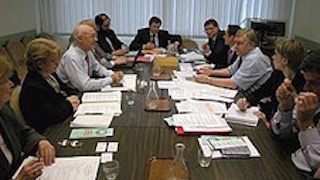 This work is conducted in close coordination with the other divisions in Mons, Belgium. Staff Element Norfolk is responsible for Partnerships planning, programming and the coordination of partnership activities. In 2016, about 2000 individual Partners were able to participate in NATO Training and Education events. Additionally, Staff Element Norfolk supports and advises Partners on capabilities development and requirements for all aspects of Transformation, including Individual Education and Training. 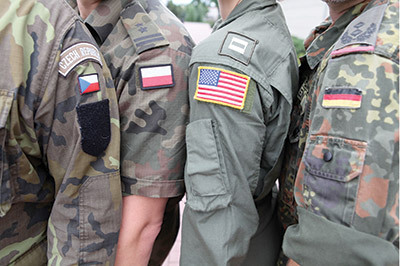 Over the last decades, Partnerships have grown and matured within NATO. The concept of Projecting Stability will guide the future work within the partnership community. The Military Partnerships Directorate will be a key enabler for NATO’s projecting stability effort. The Coordination and Integration Division supports the planning, programming coordination and evaluation of partner related activities and events. The participation of Partner Nations in NATO Education Training and Evaluation increases their force readiness and brings their forces to a NATO standard. The Operational Capability Concept Evaluation and Feedback Programme aims to provide deeper military cooperation between the Alliance and Partners with the goal of improving the ability of Partner forces and capabilities to operate with NATO forces, interoperable from day one. The Operational Capability Concept is an evaluation programme that mirrors NATO’s own high standards. Partner units undergo a rigorous multi- year, four-level evaluation programme that concludes when the assigned unit is declared NATO combat capable. The Operational Capability Concept is a fast-track option open to advanced partner units. The current pool of force contains about 13,500 troops. The International Coordination Cell within the division is focused on enabling Partners to deploy these troops for NATO. 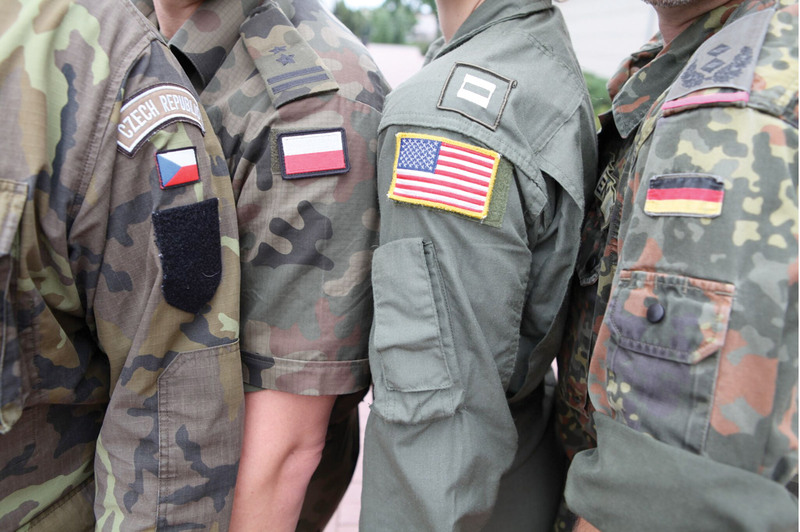 Military Partners have, and continue to play, an important role in supporting NATO operations. In 2017, Partners contributed approximately fifteen percent of the forces in the RESOLUTE SUPPORT MISSION and Kosovo Force. 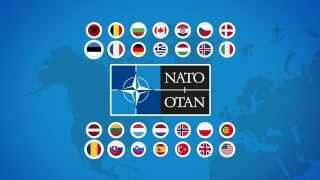 NATO cooperates with numerous countries and different organisations. The following represents a list of different NATO partnership initiatives as well as NATO’s main International Organisation partnerships in the security field. In addition to its formal partnerships, NATO cooperates with a range of countries which are not part of these structures. Often referred to as “Partners across the globe”, these countries develop cooperation with NATO in areas of mutual interest, including emerging security challenges, and some contribute actively to NATO operations either militarily or in some other way. Allied Command Transformation, Staff Element Europe is co-located within the Supreme Headquarters Allied Powers Europe. Its main mission is to harmonize Allied capability development and to encourage NATO members to deliver the pool of forces and capabilities necessary to undertake the Alliance’s full spectrum of missions and operations. Staff Element Europe achieves this mandate through NATO defence planning and the identification of the military requirements which are apportioned to and ultimately provided by the Allies. The progress of each Ally’s defence plans and inventory of forces and capabilities is reviewed biennially to assess capability development and the status and inventory of forces and capabilities made available to NATO. Staff Element Europe brings together the defence planning staffs of NATO Headquarters to include the International Staff, International Military Staff, other NATO Agencies, Allied Command Transformation and Allied Command Operations to identify military requirements and to set planning targets for the Allies. Staff Element Europe leads the consultations with nations where capability targets are set and agreed upon. Staff Element Europe also supports an assessment of the suitability of the Allies’ plans and inventory of capabilities to enable the Supreme Allied Commander Europe to conduct current and future operations. Staff Element Europe ensures all defence planning activities are conducted using the Political Guidance agreed by the Defence Ministers. The main products delivered by Staff Element Europe are Minimum Capability Requirements, draft capability targets and military Suitability & Risk Assessments. Since 2003, Staff Element Europe has continued to improve the traceability and transparency in the derivation of the requirements leading to an apportionment of Minimum Capability Requirements requirements to the Allies and NATO. In 2016, Staff Element Europe delivered its second Minimum Capability Requirements, which was developed with an updated analytical methodology against the backdrop of a changed security environment. The Minimum Capability Requirements addressed the requirements for the planning horizon. The 2016 Minimum Capability Requirements featured a shift towards more high-end, war-fighting capabilities with an increase in readiness. At the request of Allies, in the enhanced NATO defence planning process, Staff Element Europe successfully apportioned the 2016 requirements with a new burden sharing model to ensure that each Ally will recognize that its package of capability targets is fair. The demanding 2016 Minimum Capability Requirements was apportioned into capability targets that were agreed upon by Defence Ministers in June 2017, sending a clear message of Alliance resolve, cohesion and solidarity. In 2017, capability targets requiring common funds (NATO Security Investment Programme) were developed by Staff Element Europe and were subsequently approved by Defence Ministers for the first time. Staff Element Europe is currently preparing for the 2017-2018 capability review and it will deliver the Bi-Strategic Commanders Suitability and Risk Assessment to the Military Committee in early 2018. Headquarters, Supreme Allied Commander Transformation is many time zones and 6,000 kilometers away from NATO Headquarters in Brussels, Belgium. The Command overcomes this physical and temporal dislocation by maintaining a permanent presence in Brussels to be the eyes, ears and advocates for the Command. Supreme Allied Commander Transformation’s Representative in Europe adds value across three functions: Carrying Allied Command Transformation’s position into formal events; shaping the environment in NATO Headquarters for successful Allied Command Transformation outcomes, and acting as dynamic sensors to provide Allied Commander Transformation with a nuanced understanding of the prevailing environment. First, Supreme Allied Commander Transformation’s Representative in Europe is the Command’s representative in numerous NATO HQ-based committees. 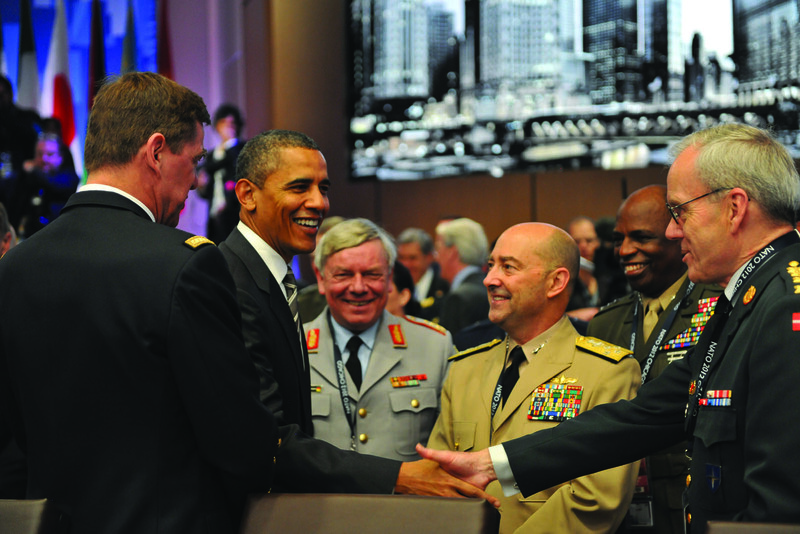 The second function is to help prepare NATO Headquarters for the delivery of Allied Command Transformation’s products. Allied Command Transformation often works directly with civilian and military representatives in Brussels. 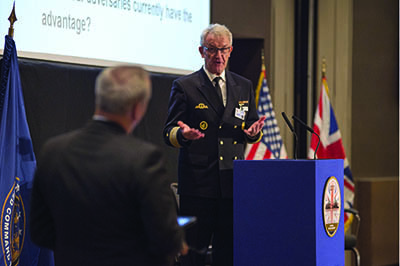 And, while the formal work takes place in committees, it is important that Supreme Allied Commander Transformation’s Representative in Europe remains an active advocate of Allied Command Transformation work in meetings and discussions. Finally, Supreme Allied Commander Transformation’s Representative in Europe is the conduit for the larger Allied Command Transformation community to understand NATO Headquarters. 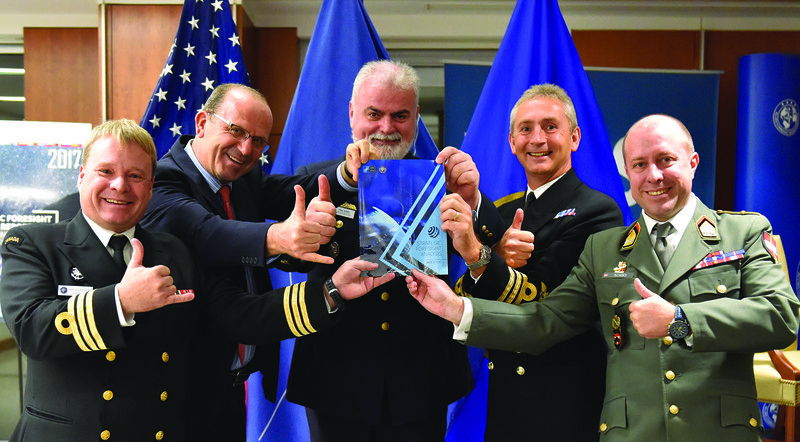 Using all three functions enables Allied Command Transformation and Supreme Allied Commander Transformation’s Representative in Europe to build and maintain coherence between the work in Brussels, Belgium and work in Norfolk, USA. The Joint Warfare Centre was established on October 23, 2003 at Jåttå, Stavanger, Norway, subordinate to Allied Commander Transformation. The Centre is NATO’s premier operational warfare and training organization and the Alliance’s footprint in the North; the region which contains Scandinavia, the North Sea and the Baltic. As directed by the Supreme Allied Commander Transformation, the Joint Warfare Centre is responsible for providing NATO’s training focal point for full-spectrum joint operational-level warfare. The Centre’s two primary outputs are exercises and support to NATO’s Joint Warfare Development in accordance with Supreme Allied Commander Europe requirements that ensure NATO forces are well- trained for any type of warfare, and ready to respond to current and emerging challenges. The Centre, as such, is the main provider of Computer-Assisted/Command Post Exercises to the Alliance; primarily the TRIDENT Series of exercises. 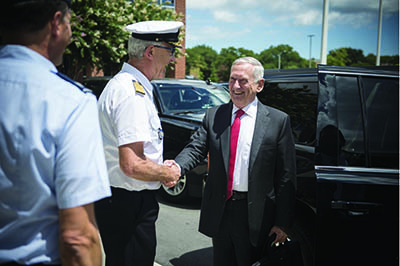 The “warfare” enterprise of the Joint Warfare Centre is a catalyst for Transformation, directly linked to Supreme Allied Commander Transformation’s vision, goals and strategic objectives. The Joint Warfare Centre is also the only NATO body that creates and develops operational-level synthetic training scenarios and settings. A quick glance vividly illustrates the major significance of this endeavour: one Joint Warfare Centre training scenario was used specifically for TRIDENT JUNCTURE 2015, NATO’s then largest exercise for non-Article 5,“out-of-area” threats. Another scenario, aims to demonstrate NATO’s increased Level of Ambition, reflecting the Alliance’s new focus on operational preparedness in the face of complex, networked and hybrid threats, which call for a wide spectrum of training. Over the years, Joint Warfare Centre’s training scenarios were modified into different versions to support both NATO Force Structure and NATO Command Structure exercises. Today, with its professional team of more than 250 officers, enlisted, civilians and contractors, the Joint Warfare Centre has the capability to plan and deliver up to four complex operational-level exercises per year. 2018 marks the 15th Anniversary of the Joint Warfare Centre. The Centre has trained nearly 64,000 personnel from NATO Member and Partner Nations since 2004, when it conducted its very first exercise for NATO’s first Deployable Joint Task Force headquarters, which took place just three months after its activation. 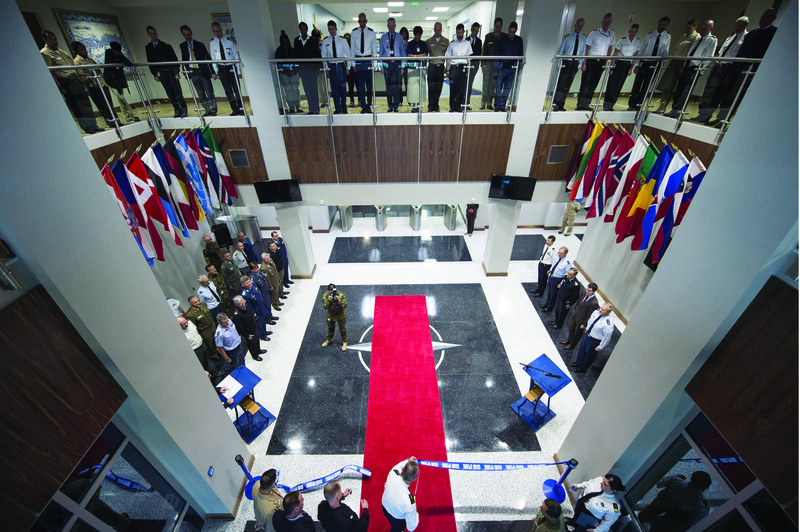 Built on an area of 13,390 square metres, the five-storey building gives the Centre a state-of-the- art Computer Assisted Exercise-based training, warfare and conference facility. The Foundation Stone for the new facility was laid on October 23, 2008. Four years later, STEADFAST JOIST 2012, was the first exercise to be conducted here, testing NATO’s nascent Deployable Joint Headquarters concept. With the advent of the TRIDENT Series of Exercises, Joint Warfare Centre embraced in earnest the NATO requirement to conduct annually up to four, joint/combined, multi-level Command Post Exercises; from Operations Larger than a Major Joint Operation to Small Joint Operations. Responding to the changing security environment and NATO’s focus on Collective Defence, the Centre integrated new capacities into the TRIDENT Exercises to enable Alliance Joint Warfare Development; it has delivered NATO’s new synthetic scenarios and launched NATO’s first large-scale virtual network. 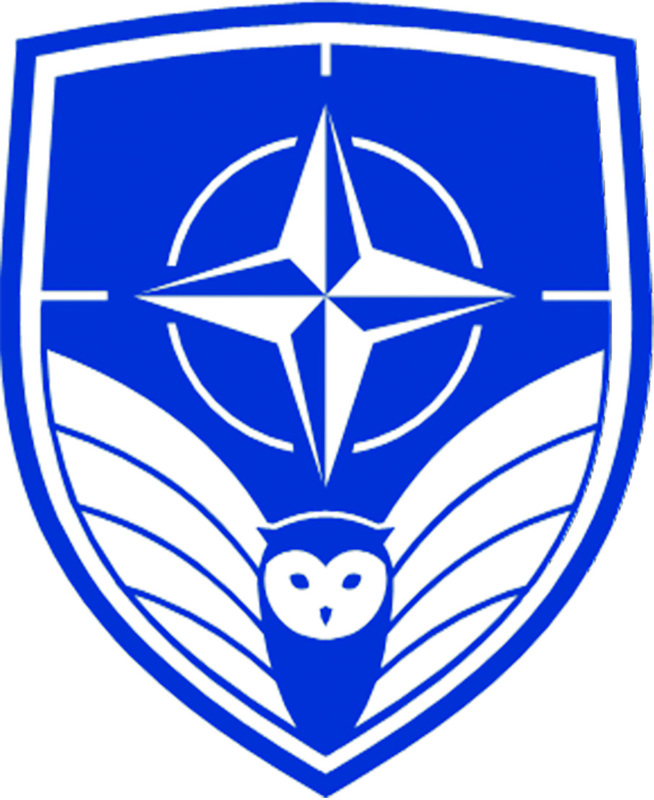 The Joint Warfare Centre also contributed to the development and adoption of NATO’s Comprehensive Operations Planning Directive, supported NATO’s Smart Defence focusing on NATO Forces 2020, led the way for many other concepts, such as the Comprehensive Approach and produced a wide variety of other reference documentation and handbooks on modern warfare. 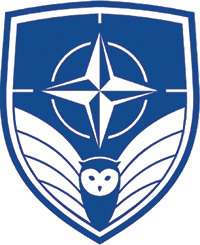 Taken together, the Joint Warfare Centre is one of NATO’s most unique organizations. 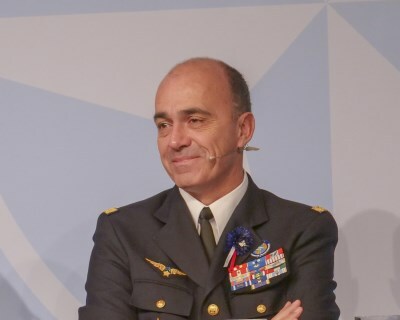 The Centre was the first organization in NATO to actively focus and develop its organizational culture with high-performing, cross-functional teams which Joint Warfare Centre calls its “One Team” ethos to better support its mission and outputs. Since August 2015, the Joint Warfare Centre has organized into a highly agile matrix organization with a new training architecture that is designed to support, in the most effective way, the Centre’s warfare development efforts through its computer-assisted Command Post Exercise planning and delivery. With its training facility in Jåttå, operational since 2012, hosting one of NATO’s most advanced Information Technology platforms and providing a training capacity of 1,200 people, the Joint Warfare Centre today stands out as one of the world’s most state-of-the-art operational training centres. 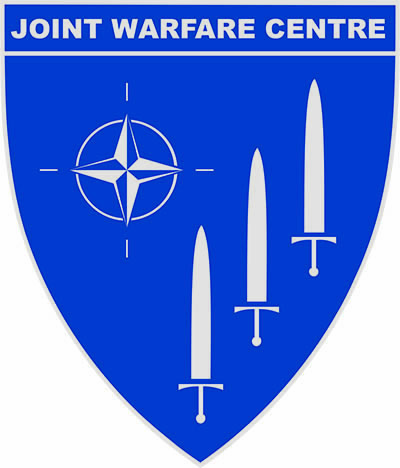 The Joint Warfare Centre’s main ambition is to improve NATO’s military interoperability, readiness and responsiveness. As NATO continues forward into the 21st Century, the combination of innovation with high quality training, merging with its “warfare” enterprise, has bestowed the Centre with one of the most imperative missions within the Alliance. 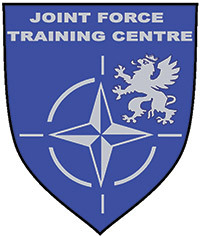 Officially established in 2004 in Bydgoszcz, Poland, the Joint Force Training Centre quickly assumed a significant role within the Allied Command Transformation training network. Constantly developing to meet current and future Alliance training requirements, the Centre has grown in strength and proven a key player in NATO’s transformation process as well as a critical part of its training capability. Joint Force Training Centre conducted its first training event for NATO forces in December 2005. It was a Mission Rehearsal Training/Mission Rehearsal Exercise for the South Eastern European Brigade that formed the Kabul Multinational Brigade IX. Since then, the Centre has continued to develop to meet NATO training needs. Throughout the years, training intensity at Joint Force Training Centre varied from holding single positions in Exercise Control functions to lead roles in the International Security Assistance Force Regional Command rehearsal and readiness exercises. Additionally, the Centre increased support to NATO Response Force exercises and key leader training events for two regional commands in Afghanistan. By providing the command and control elements, it also played a key role in Operational Mentor and liaison team courses for International Security Assistance Force at the Joint Multinational Readiness Centre in Hohenfels, Germany. Joint Force Training Centre also led the exercise planning course in support of NATO Training Mission in Iraq. While increasing its efforts in training for current operations and pre-deployment training, Joint Force Training Centre continued to develop its role in defending the Alliance and projecting stability. The Centre gradually opened its doors for new projects, including various courses or NATO-wide conferences. In 2011, it also became the home of the Coalition Warrior Interoperability eXploration, eXperimentation, and eXamination eXercise. Focused on solving interoperability challenges by federating people, processes, and technology, this annual event has become one of the Joint Force Training Centre’s yearly highlights. From corps-level exercises such as the Rapid Reaction Corps-France’s Citadel Bonus to the TRIDENT JOUST series, Joint Force Training Centre also helped ensure NATO’s readiness in Europe and abroad. In 2016, the centre led the first ever NATO-Georgia exercise and maintained a mentoring partnership in preparation for the next exercise in 2019. As NATO’s training and innovation ambitions increase, Joint Force Training Centre is growing along with them. In 2017, it opened a training area for NATO headquarters elements to deploy and train as they would fight in expeditionary conditions. This, along with office expansions, increased the total training and control areas. 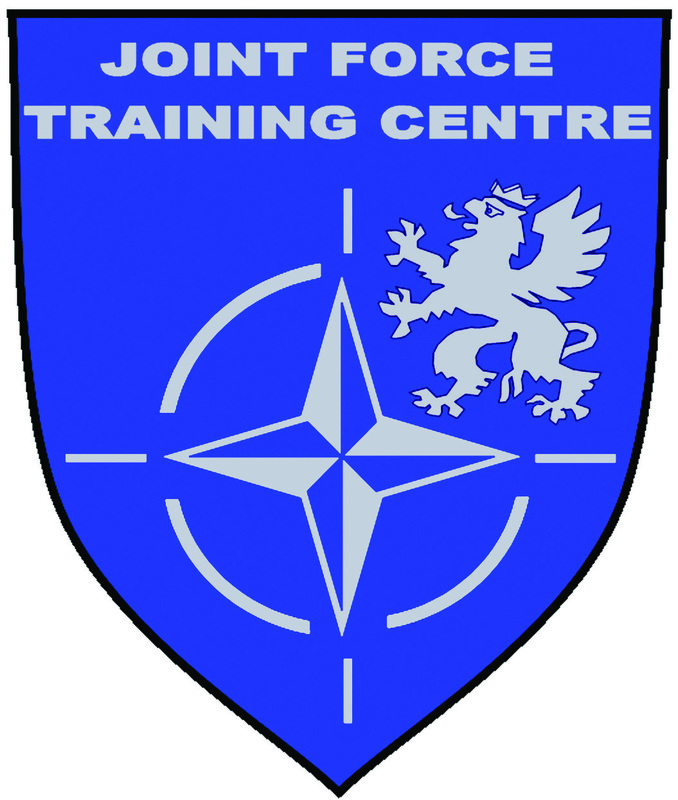 Throughout thirteen years of intensive work and development, the Joint Force Training Centre has built its strong position within the Allied training and transformation network. The centre has a solid reputation as the flagship of NATO pre-deployment training, is also a trusted location for NATO Command Structure and Force Structure Commanders to train their staffs, and becomes an important player in NATO’s innovations and capability building. The number of Joint Force Training Centre training events’ participants is increasing year by year. Joint Force Training Centre lives its motto,“Transformation Through Training.” By synthesising the Allied Command Transformation mission and Allied Command Operations training requirement with cutting edge technology, flexible communication and information systems architecture, and responsive, scalable training, Joint Force Training Centre occupies a critical spot in the NATO Command Structure. Whether through training or capability building, Joint Force Training Centre remains on the cutting edge of enhancing NATO’s ability to project stability, deter adversaries and defend the Alliance. The Joint Analysis & Lessons Learned Centre is NATO’s centre for performing joint analysis of operations, training, exercises, and experiments, based on requirements generated by NATO Military Authorities and NATO Headquarters International Staff/International Military Staff. The Joint Analysis & Lessons Learned Centre supports the exchange of Lessons Learned and facilitates the development of Lessons Learned capabilities, reinforcing the continuous transformation and modernization of NATO’s forces and capabilities. In addition to analysis support to operations, training, exercises and experimentation, the Joint Analysis & Lessons Learned Centre maintains the NATO Lessons Learned Portal, a tool to facilitate the Lessons Learned process; provides Lessons Learned training; and engages, through the Joint Analysis & Lessons Learned Centre advisory and training team, with NATO Commands and Allies, Partners and other entities to support their Lessons Learned capability developments. Future International Security Assistance Force Command & Control Structure (2004); This report included a review of NATO’s Command & Control structure and associated recommendations for a future structure within the context of an expanding International Security Assistance Force role. Operation UNIFIED PROTECTOR: Lessons for the Alliance (2012); Operation UNIFIED PROTECTOR was the NATO operation in Libya from March 31, 2011 to October 31, 2011. This report was requested by NATO Headquarters International Military Staff with the purpose of consolidating all the lessons, after action reviews, and historical reports from the NATO entities that participated in Operation UNIFIED PROTECTOR into a single document. The Joint Analysis & Lessons Learned Centre report presents the 15 lessons of greatest importance to the Alliance. Protection of Civilians – How International Security Assistance Force Reduced Civilian Casualties (2015); This report identified lessons and best practices in order to develop a proposal for a Civilian Casualty Reduction Cycle. The final report made a number of recommendations which have been incorporated into the NATO Policy for the Protection of Civilians that was endorsed at the North Atlantic Council Warsaw Summit in 2016. In addition to its joint analysis products, the Joint Analysis & Lessons Learned Centre has produced and maintains NATO’s Joint Analysis Handbook, providing the principles, procedures, tools and techniques for analysis of complex problems in support of Lessons Learned processes, and the NATO Lessons Learned portal, which allows the NATO Lessons Learned community to share lessons-related documents and operations and exercises-related lessons. Exercises, Training and Experimentation activities provide excellent venues for Joint Analysis & Lessons Learned Centre analysts to collect observations, obtain survey information and conduct interviews, all of which directly contribute to shaping Joint Analysis & Lessons Learned Centre’s various joint analysis projects and, therefore, supporting broader efforts within the Alliance. By providing teams to support exercises, training events and experiments in any given year, the Joint Analysis & Lessons Learned Centre has earned a reputation for providing invaluable expertise and insight at these various events. For example, Joint Analysis & Lessons Learned Centre has supported and continues to support, NATO Headquarters Crisis Management Exercises, all major NATO live and synthetic joint exercises, and other exercises on a case-by- case basis. The Joint Analysis & Lessons Learned Centre also sends teams to support key leader training, academics and battle staff training for many of these events. In 2017, the Bi-Strategic Command Lessons Learned Steering Group approved the NATO Lessons Learned Optimization Action Plan in an effort to improve and sustain an effective NATO Lessons Learned capability. As part of this plan, a shift in the Joint Analysis & Lessons Learned Centre role will see the Joint Analysis & Lessons Learned Centre proactively supporting NATO Lessons Learned capabilities and acting as the NATO centre for Lessons Learned. The idea for NATO Centres of Excellences was born in 2003, when NATO’s Command Structure was revised. The Military Committee with the support of the newly established Allied Command Transformation refined this idea and produced the “Concept for Centres of Excellence”. Once the idea and the concept were firmly established, the accreditation criteria were defined and agreed in 2004. Consequently, the first NATO Centre of Excellence, the Joint Air Power Competence Centre hosted by Germany in Kalkar, was formally accredited in June 2005. Today, there are 25 accredited Centres of Excellence. The definition of a NATO Centre of Excellence is a nationally or multi-nationally sponsored entity, which offers recognized expertise and experience to the benefit of the Alliance, particularly in support of transformation. A Centre of Excellence is not part of the NATO Command Structure, but forms part of the wider framework supporting NATO Command Arrangements. The Centres of Excellence come with no extra cost to NATO, but they follow NATO procedures, doctrines and standards. There is also no duplication with existing assets so that the Centres of Excellence continue to be regarded as hubs of knowledge and innovation in their respective areas. Centres of Excellence relationships with Strategic Commands are governed through Memoranda of Understanding. Additional agreements and relationships with partners are supported and encouraged. Centres of Excellence are an essential part of NATO’s wider framework and key contributors to the transformation of the Alliance. They provide tangible benefit to NATO by developing and delivering real capabilities while being a hub for subject matter expertise in their particular field. In their respective areas of expertise they are indispensable engines for innovation. They provide in-depth studies and research in key areas, subject matter expertise to training and exercises, support gathering and dissemination of Lessons Learned, contribute to doctrine development, and offer relevant courses to NATO and Partner Nations. In an unpredictable world, with a wide range of challenges and opportunities, NATO remains an essential source of stability. Notwithstanding our powerful Alliance of 29 nations, and cooperation with a large group of partners, NATO is in the midst of a cycle of political, military and institutional adaptation, primarily driven by the fast moving security environment that affects us beyond the borders of the North-Atlantic Area. At the 2016 Warsaw Summit, and together with many other measures, nations decided to adapt the NATO Command Structure, and to make it t for purpose against the new challenges of the strategic security environment. 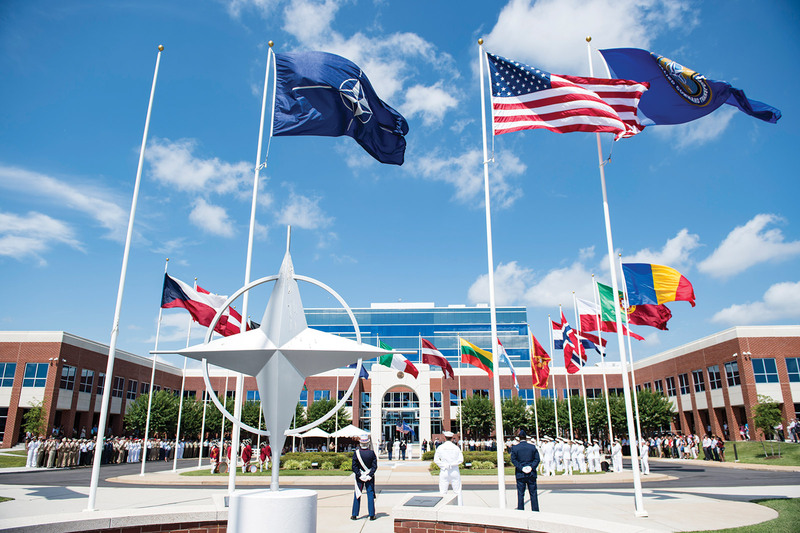 Headquarters, Supreme Allied Commander Transformation will remain the only NATO headquarters in North America as an essential symbol and instrument of the Trans-Atlantic link. While Allied Command Operations, located in Mons, Belgium, will refocus on Warfighting, Allied Command Transformation will concentrate on Warfare Development. It is about transforming NATO’s military capacity to the constantly changing environment. Allied Command Transformation’s internal structure will be shifted to the modified roles, responsibilities and authorities of the NATO Command Structure to better execute the functions and tasks to prepare our alliance for future operations. Our internal organization will transform around three pillars: Strategic Plans and Policy, Capability Development and Joint Force Development. These pillars will work on Strategic Foresight, Strategic Analysis, Innovation, Concepts, Strategy and Military Policy Advice, Partnerships, Defence Planning, Lessons Learned, Capability Development, Experimentation, Wargaming, Doctrine and Education and Individual Training, including the development Human Capital. The Joint Force Training Centre, Joint Warfare Centre and Joint Analysis and Lessons Learned Centre, will remain under the responsibility of Allied Command Transformation, while adapting to incorporate new requirements. 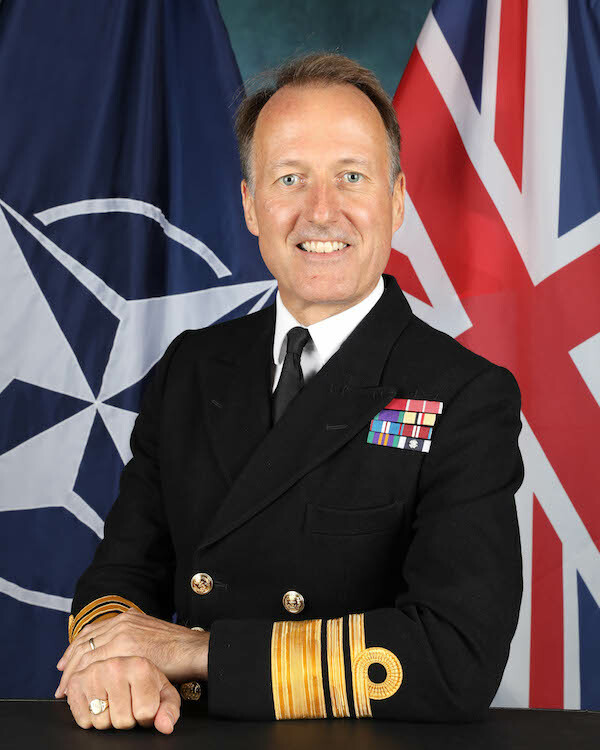 The Command will further strengthen relationships with NATO Centres of Excellence and use the professional knowledge of those centres on a broad range of important topics. Without changing the geographical footprint, Allied Command Transformation will be provided with additional capacity and expertise, robust enough to cope with the new tasks and challenges for the development of the Alliance’s future military capacity, and flexible enough to adapt to the requirements of the constantly changing environment – to deliver at the speed of relevance.